"There's got to be a cheaper way to offer employee health insurance." That's the reply we hear from companies every day. The cost of employer-based health insurance has roughly doubled in the last 2-3 years. That's insane when companies are being squeezed everywhere else in this so-called "recovery". Group health insurance is so opaque that many employers feel there must a better way...they just don't know what it is. Let's look at current options to reduce the cost of group health coverage. Of course, as license insurance agents, our services are free to you and we're happy to run a proposal across all the options below at no cost. In addition to the above options, keep in mind that there may be penalties for not offering health insurance for certain companies. There's a huge penalty for companies that pay towards employee's individual/family plans. We can't stress the latter penalty more....it's $100/day/employee; up to $36,500! So let's dig in...how can we save on business health coverage? We'll start with the obvious option. We've written extensively but here are the highlights. 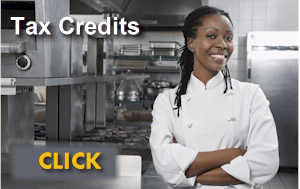 Companies with under 25 or under employees and average salary below $50K (not including owner/officers and their family) may qualify for a tax credit. 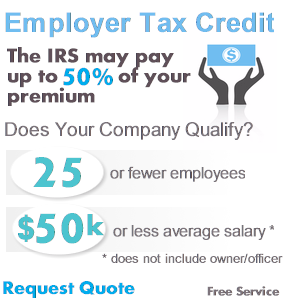 The tax credit can be up to 50% of the employee's premium. The sweet spot is 10 employees averaging around $25K annual salary. 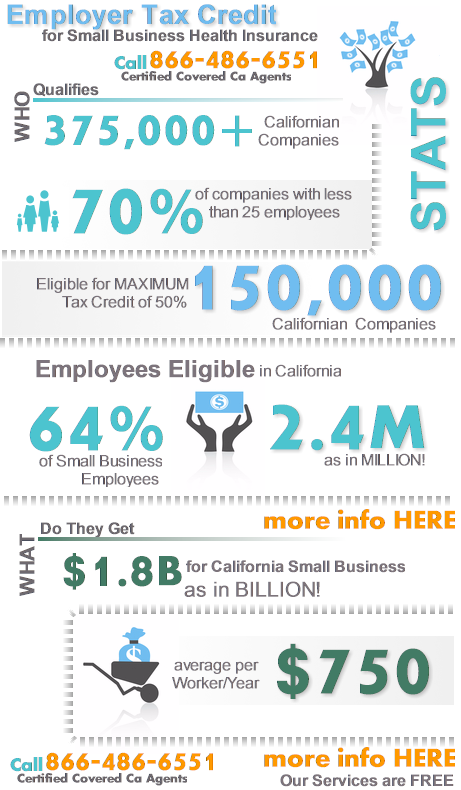 There are 100's of thousands of California companies that qualify and only 2-3K are taking advantage of it. For those unable to look up from work, the ACA health law just ripped through the industry and nothing was left the same. Rates and plans not withstanding! Everything changed and many companies saw rates swing up our down (mainly up) by 20-30% on average at their renewal. The plans are now somewhat standardized but the pricing is all over the map. We run quotes for California companies every day and it's completely expected to see equivalent plans (and network) with pricing different 25-30%. If you are still with the same carrier you've had for years (or even since last year), it definitely makes sense to run a full comparison quote across the entire market. 20-30% is a lot of money saved! Let us know what carrier/plan you have now and we'll quickly look at all the equivalent options. You can request this quote here (note your current carrier, plan, and monthly rate). If we can't find anything better, we'll let you know. If we can...well then...we love giving great news! We'll also see if you are eligible for the tax credits mentioned above. We've seen lots of press about "Private Exchanges" being the future for Employer-based health insurance. CalChoice has been around for years and they continue to add carriers/plans and get stronger with time. There are specific situations where CalChoice is quite a bit cheaper than plans direct from the carriers. In that case, whether you have that carrier/plan or just want to shop group health, CalChoice must definitely be quoted and compared. We're happy to quote CalChoice along with other carriers (even those that participate with CalChoice). Just request your CalChoice group health quote here (note current plan, carrier, rate and we'll see if CalChoice is better priced). HSA (Health Savings Account) and HRA (Health Reimbursement Arrangement) are similar in their intent. Basically, you combine a high deductible plan with some time of self-insurance for the smaller bills. 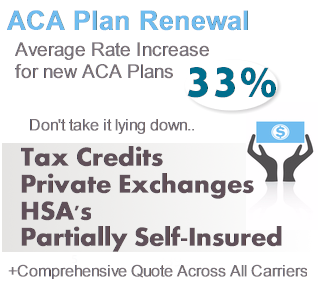 A company may offer a $4500 deductible plan and then contribute $100/month towards a tax-favored HSA account. The employee can use the $1200 for first dollar coverage and have the $4500 deductible for more catastrophic, bigger bills. The employer can fund what they want to or choose not to fund at all. The employee can also fund towards the account (up to the annual max) with pre-tax money. We can quickly quote the HSA business plans side by side for you here. HRA's are slightly different in that they combine a high deductible plan with reimbursement for eligible expenses from the company. Certain carriers such as Cigna provide a full platform to manage the reimbursement with different options in terms of risk. This generally works best with larger companies but there can be savings across the board. The benefit is that the company only pays out when there are incurred medical expenses as opposed to the HSA which is pre-funded. Benelect is an example of a 3rd party administrator. Essentially, they provide a platform for a fee to "wrap" around a high deductible plan. A company can take a high deductible plan for the catastrophic bills and then build out whatever benefits they want up to that amount. Almost everything can be managed since the company will pay for the designed benefits up to the underlying plan's high deductible and max out of pocket. Benelect works well in certain situations. When it works, we see savings of 10's of thousands per year in health benefit costs. It can be amazing to see the results. It works really well when compared to richer plans on the market (think Gold or Platinum in the new ACA world). 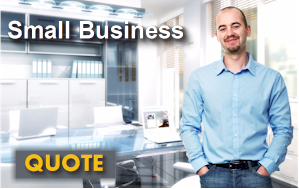 We can run your Benelect quote quickly here and provide a range of options. The final proposal will show best case, worst case, and expected performance for your annual health care costs. It's not unheard of where the worst case still saves against a company's current rates. 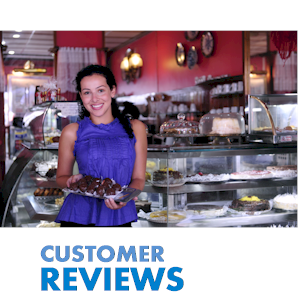 Regardless of which carrier or option you go with, make sure to take advantage of what we call the Mini-Cafe plan. Essentially, the company pays a percentage towards a given plan or a fixed amount per month per employee. The employer can choose to offer dependent coverage or not and if so, at a different contribution level (i.e. 75% for employees and 50% for dependents). This whole approach is the ONLY way to go and you should all be doing this already. It offers the best of both worlds. The employee is able to pick and choose among a range of plans according to his/her health care needs and budget. Employees love being able to choose. Even if the contribution is lower...choice is power to an employees. First, we generate a report across the market to see which carrier is priced best at a given plan level. We then establish the company budget. Obviously, we have found that option 3 is the favored approach after enrolling 1000's of California companies! We're happy to get started and run the market comparison quote here. After your feedback, we can then run the employee worksheets based on company contribution. Finally, if cost is actually paramount, all the carriers are offering plans with more narrow networks...both PPO and HMO. Typically, we'll have the same benefit levels (Bronze, Silver, Gold, Platinum) but with networks that are smaller both in terms of hospitals and doctors. 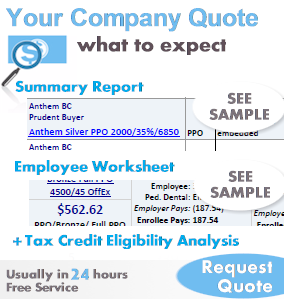 This can save money for employers and employees. where the smaller network is not too much of an issue. There are areas in California where the networks are sufficient in the narrow network plans. We can help you not only quote both network options but analyze the network differences for your given area. Keep in mind that Kaiser is Kaiser. Hopefully, we've shown some options to help address the spiraling cost of employer health care. We really wanted to share our day-to-day methods to help companies after enrolling and servicing 1000's of California companies since 1995! If you have specific questions or requests, please call 866-486-2551 or request your quote (with notes of your specifics). How can we help you save on your group health benefits?